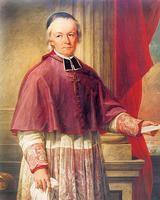 TASCHEREAU, ELZÉAR-ALEXANDRE, Roman Catholic priest, educator, archbishop, cardinal, and author; b. 17 Feb. 1820 in Sainte-Marie-de-la-Nouvelle-Beauce (Sainte-Marie), Lower Canada, son of Jean-Thomas Taschereau* and Marie Panet, a niece of Bishop Bernard-Claude Panet*; d. 12 April 1898 at Quebec. Elzéar-Alexandre Taschereau was the last but one of the seven children of a well-to-do family that, although devoutly Catholic, leaned towards liberalism. In the autumn of 1827 he took courses in English taught by Joseph-Antoine Philippon* in Sainte-Marie at the school under the Royal Institution for the Advancement of Learning. On 1 Oct. 1828 he entered the Petit Séminaire de Québec, where his teachers included the great reformers Jérôme Demers*, Louis-Jacques Casault*, and John Holmes*. He proved one of the most brilliant pupils and kept winning prizes and honours. His conduct was exemplary, and his intense devotion, particularly to the Virgin Mary, led to his being admitted into the Congrégation de la Bienheureuse-Vierge-Marie-Immaculée. He finished his classical studies in the spring of 1836; that January he had told his mother of his intention to enter the priesthood. In May 1836 Taschereau and two other students who had just graduated from the Petit Séminaire set off for Europe, travelling by way of New York; they had as mentor Abbé Holmes, who was on a mission to study educational systems in Europe. Taschereau visited the British Isles, the Netherlands, and France, and left Paris for Rome on 22 Feb. 1837. There he met the man who had re-established the Benedictine order in France, Dom Prosper-Louis-Pascal Guéranger. They took to each other immediately, and on 8 May Taschereau announced peremptorily that he intended to remain in Europe and become a Benedictine. Informed of this plan, Holmes went to Rome and had some stormy arguments with him; when Taschereau would not give in, Holmes finally wrote an angry, threatening letter to Dom Guéranger, accusing him of “conduct unfitting and hardly consonant with good order.” Faced with this “unseemly” letter, the Benedictine simply wrote to Taschereau releasing him “entirely and without restriction from any commitment of honour that you might think you had given towards me.” He cautioned him, without giving any specific advice, that “the decision still to be taken is up to you.” Despite the great independence of mind he showed in public at this time, Elzéar-Alexandre abandoned his “vocation” and bade farewell to Dom Guéranger on 7 July 1837, within weeks of being tonsured. On 4 August he was in Paris, ten days later he took ship for the United States, and on 24 September he reached New York. Taschereau entered the Grand Séminaire de Québec in late September 1837. Because of his youth he spent five years there studying theology. During this period he taught the second form (1838–40), the fourth (1840–41), and the sixth (Rhetoric) (1841–42) at the Petit Séminaire. Made a subdeacon on 26 Sept. 1841 and deacon on 10 March 1842, he obtained a dispensation – being 18 months short of 24, the canonical age – and was ordained priest by the coadjutor, Bishop Pierre-Flavien Turgeon*, in the church of the parish where he was born, on 10 Sept. 1842. On 19 October the Quebec seminary made Taschereau a member of its community. During the ensuing 12 years he taught intellectual and moral philosophy, adapting a course previously given by Demers to include certain contemporary authors and to introduce Thomism. He also gave courses in science (astronomy and architecture), theology, and the Scriptures. In all these subjects he unquestionably displayed knowledge, but also a method, clarity, and authority that made him a remarkable teacher. Because he spoke English he was called to Grosse Île in 1847 to minister to immigrants stricken with typhus; at the end of a week he himself caught the malady and was taken to the Hôpital Général of Quebec. For three weeks he lay there, close to death. 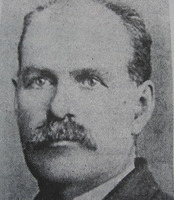 Continuing to teach, Taschereau was soon called upon to put his administrative skills to use. In 1849 the seminary made him a member of the council of directors, and in this capacity he helped found the Université Laval in 1852. He also served as prefect of studies from 1849 to 1854 and director of the Petit Séminaire in 1851–52. 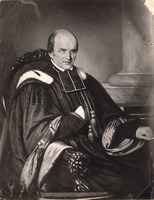 In 1854 Casault, who was rector of the university and superior of the seminary, sent him to Rome to study for two years in the expectation that a theological faculty would be established at Quebec. Taschereau came back with a doctorate in canon law. On his return to Quebec Taschereau assumed a greater role at the seminary and the university. He taught theology from then on. 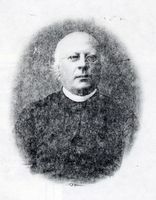 His colleagues named him director of the Petit Séminaire for the period 1856–59 and director of the Grand Séminaire and second assistant superior in 1859–60. The university invited him to serve on the jury for the degree bachelor of arts. For his part Archbishop Turgeon of Quebec appointed him vicar general in 1862 and chose him to be a member of his episcopal council and an examiner for young clergy. In 1859 the government had named him to the newly created Council of Public Instruction. Taschereau also helped found a literary society at the seminary, and in his spare time he wrote a history of the Quebec seminary, which has remained unpublished. When in 1860 Casault completed his second term as superior of the seminary and rector of the university, the choice for his replacement fell quite naturally upon Taschereau, his disciple and friend. Taschereau accepted the double office on 11 July, but was able to continue giving some courses in theology. Taschereau could rely on the experience of Casault, who remained a member of the university council and even became vice-rector on 9 April 1862, and they shared a common view of the university. During his various terms of office Taschereau maintained the same policy for developing the teaching body: he sent priests or laymen who were going to become teachers to Europe for further education, and he followed their progress closely, offering them profuse advice about their studies and intellectual life. He gave them paternal warnings to avoid overwork and find time for recreation. He urged them to cultivate their minds, look beyond their field of specialization, and prepare themselves for teaching more than one subject. In his view a university professor had to be a scholar “who without seeking to become a universal man would do well to be a little of everything.” Taschereau made great efforts to provide a well-stocked library for his professors and students. He had substantial sums voted for this purpose and personally undertook the purchase of books in Europe. He was delighted to be able to report that by 1864 the university had a library of 30,000 volumes. During his first six years as rector Taschereau was faced with two important and related questions: the affiliation of the classical colleges with the Université Laval, and the proposal for a Catholic university in Montreal. 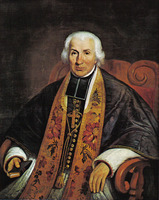 Without repudiating his predecessor’s positions, he drew up a new plan for the affiliation of the colleges which took into account the discussions stimulated by three letters addressed by Casault in 1859 to Bishop Charles-François Baillargeon*, then administrator of the archdiocese of Quebec. Taschereau decided to visit the institutions concerned in order to explain and defend his point of view. In 1862, before his visit, he sent a report to the Sacred Congregation of Propaganda. He also sought the backing of the bishops of Trois-Rivières, Saint-Hyacinthe, and Montreal. By the spring of 1863 his arrangements for affiliation had been accepted by five of the ten colleges in the province: the Séminaire de Québec, the Collège de Trois-Rivières, the Séminaire de Nicolet, the Collège de Sainte-Anne-de-la-Pocatière, and the Petit Séminaire de Sainte-Thérèse. The remaining five, all in the Montreal region, long remained unwilling to accept the Laval plan. The reason, at least in part, was the hope that there would soon be a university in Montreal. 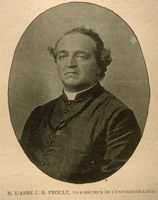 Bishop Ignace Bourget* had had a university much in mind since 1862 and on 27 February of that year he had made his project known to Bishop Baillargeon. On being informed of this move, Taschereau immediately took up the defence of the Université Laval’s interests. With the former rector Casault he went to consult cabinet ministers George-Étienne Cartier* and Joseph-Édouard Cauchon*, and he set to work on a long text concerning the creation and organization of Laval that would be the basis for a subsequent memorandum. He wrote to Baillargeon emphasizing the dangers in Bourget’s request. He refuted even more emphatically Bourget’s letter of 15 March 1862 explaining his motives; he dwelt upon the harmfulness of a plan that “would have no other effect than to ruin the Université Laval.” There was soon an impasse. At Bourget’s suggestion the discussion was transferred to Rome, to be submitted to the pope’s decision. The bishop of Montreal was already on the scene. Baillargeon himself was in charge of the Quebec delegation: Taschereau accompanied him to defend the interests of the Université Laval, and Edward John Horan*, the bishop of Kingston, was responsible for the seminary’s. They arrived in Rome on 14 May 1862 and immediately contacted Cardinal Alessandro Barnabo, who was also opposed to Bourget’s project. In the mean time Bourget had received an indirect request from the pope not to ask for authorization to found a university in Montreal but had been given permission to explain his reasons to Propaganda; his arguments failed to carry the day in the face of a decision already taken. Informed of Casault’s death, which had occurred on 5 May 1862, Taschereau cut short his stay in Rome, but not “without having the last word” on the university question. 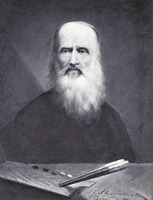 On 31 May he had an audience with Cardinal Barnabo at which he and the three Canadian bishops heard the prefect of Propaganda refute “victoriously all of the bishop of Montreal’s reasons.” Bourget immediately gave in. Quebec and Taschereau had won. Victory proved short-lived for the rector and the university. Arriving back at Quebec on 18 June, Taschereau had to combat the defeatist mood that followed Casault’s death, and he turned his attention to broadening the reach of his institution. Although he was partially successful in the steps he took towards the affiliation of the classical colleges, he met with complete failure in his dealings with the Montreal School of Medicine and Surgery, since its new request for affiliation was rejected by the councils of the faculties and of the university [see Hector Peltier*]. Bourget returned to the attack, determined to found a university in his diocese. The new proposal officially presented by Bourget on 5 Feb. 1863 was first discussed by the bishops, who to begin with proved less enthusiastic in their defence of Laval’s rigid position. What is more, at their meeting in Trois-Rivières on 17–18 Oct. 1864, after hearing the submissions presented by Bourget and the Séminaire de Québec, they ordered by a vote of four to three that a final effort be made to bring the two parties together. The reconciliation attempted in November 1864 under the auspices of Joseph La Rocque*, the bishop of Saint-Hyacinthe, failed. The rector immediately registered a blunt refusal and appealed to Rome. Taschereau consequently left for Rome on 21 Nov. 1864; there he once more joined Bourget, who on arrival had received permission from Propaganda to present his petition in favour of a separate university. 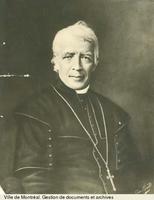 Taschereau waited a few days for Bishop Horan, the seminary’s delegate again, to reach Rome. He took advantage of the delay to write Remarques sur la supplique de l’évêque de Montréal présentée au pape le 19 décembre 1864. Horan’s arrival in February 1865 accelerated the production of statements and counter-statements and the meetings with cardinals. Finally, when the Sacred Congregation of Propaganda met on 28 March, it decided there was no need to establish a separate university at Montreal, but suggested that some means be found to eliminate the difficulties about which Bourget was complaining. Taschereau, satisfied with this decision, urged his Quebec colleagues to be moderate in showing their elation. Taschereau and Horan left Rome on 5 April. Only at Quebec did the rector learn of new suggestions advanced by Bourget at the express request of Cardinal Barnabo. Shocked because, he said, this tactic was a roundabout way of starting up an independent university, he sent Propaganda a negative response leaving no room for discussion. Rome asked Bourget to desist. This time Laval had won a complete victory. In his capacity as superior at the Séminaire de Québec Taschereau faced equally complex problems. 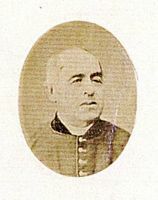 After the priest Jacques-Michel Stremler had come from Lorraine to teach theology in 1861, a group of followers of Mgr Jean-Joseph Gaume had been organized. Its adherents were critical of the curriculum for according too much importance to the pagan classical authors and thereby threatening to erode the Christian character of the classical program. A group of professors antipathetic to Gaume’s ideas opposed them, and there was dissension in the classrooms and the community. The scandal became public late in 1864 when a series of articles in Le Courrier du Canada precipitated a controversy and vicar general Charles-Félix Cazeau*’s severe condemnation. In 1865, forbidden to use the newspapers as a vehicle, young Abbé Alexis Pelletier*, under the cover of anonymity or a pseudonym, put out Gaumist pamphlets that caused a great stir. On his return from Rome, Taschereau had to restore order in the badly divided community. Personally opposed to any extreme doctrine, he preached moderation and at the beginning limited himself to paternal but severe warnings. Having disregarded these instructions, Abbé Olivier-Désiré Vézina, a teacher at the seminary, was dismissed. Within about two years all of Gaume’s disciples, including Stremler and Pelletier, had left. To add to Taschereau’s problems, part of the seminary burned down in 1865, and he had to consider whether to build elsewhere and so give the university more room or simply to make the necessary repairs and some additions to the university’s student residence. The latter solution was finally chosen. 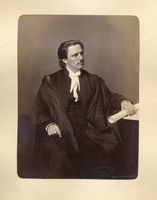 In the summer of 1866 Taschereau completed his second term as superior and rector, and in keeping with the regulations had to give up his office. He then became assistant and superior of the Grand Séminaire, before taking up the reins of power again in 1869. 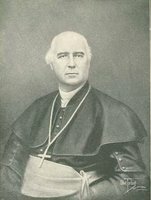 He held them for only a short time, since on 24 Dec. 1870, Rome designated him to succeed Baillargeon as archbishop of Quebec. Taschereau took charge of the archdiocese in difficult circumstances. 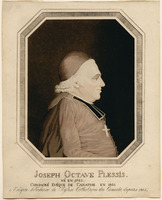 Since Joseph-Octave Plessis*’s death in 1825 virtually all the archbishops had been kept by age or illness from acting effectively and were forced to rely on coadjutors who, with limited jurisdiction, had scant opportunity to assert their authority. Leadership of the Catholic Church in Canada had thus passed to the bishops of Montreal, Jean-Jacques Lartigue* and then Bourget. In the archdiocese itself there was anything but calm. The winds of revolt were sweeping through the clergy. The severest condemnations had not prevented publication of Gaumist pamphlets that had not spared Archbishop Baillargeon or the people around him; several curés and assistant priests agreed with the ideas so skilfully expounded by Pelletier, whom well-kept secrecy protected from the archbishop’s wrath. 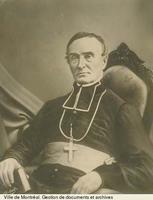 In particular, while Baillargeon and the bishops were attending the first Vatican Council in 1869–70, the spirit of discord spread throughout the archdiocese, as witness the serious dissensions that shook the staff of the Collège de Sainte-Anne-de-la-Pocatière and ended in open revolt against him in 1870. Elsewhere, despite the advice of the archbishop and of vicar general Cazeau, some priests took extreme ultramontane positions on controversial questions such as education, the new Civil Code, and liberalism, thus departing from the moderation preached by archdiocesan authorities. Late in 1870 even the orthodoxy of the Université Laval was questioned by Le Journal des Trois-Rivières. In short, when Baillargeon died in October 1870, it was generally recognized that it would take a firm hand to restore calm and order in the archdiocese and the province. Taschereau was well known in political, educational, and ecclesiastical circles. None of the episcopate had questioned the qualities attributed to him by Archbishop Baillargeon when he put him first on the list of three names sent to Rome: his “high intelligence,” “considerable insight,” “sound judgement,” “great love of hard work,” “remarkable dispatch in all he does,” and “rare orderliness in all matters.” This man, “courageous, firm, and energetic,” the prelate added, combined “ardent faith, deep piety, scrupulous assiduity in carrying out all his duties [and] in observing even the most minor rules of ecclesiastical discipline, sincere zeal for the glory of God, the honour of the church, and the salvation of souls, [and] finally a great purity of conscience and the merit of a life without blemish or reproach since his childhood.” Those who knew him intimately affirmed that his mask of marble, his impassive and exasperatingly laconic exterior concealed a sensitive, kind, candid man attentive to his friends, charitable, simple, and humble in the midst of honours. His opponents, on the other hand, even then saw him as an authoritarian leader, “very unbending in everyday relations,” who could sometimes be reproached for lacking “real energy in circumstances when it had to be displayed” and for letting himself be unduly influenced by those around him. Breaking with a tradition more than a century old, the new archbishop did not ask for a coadjutor and himself took on the task of running his huge archdiocese as long as his strength permitted. He instituted what some of his contemporaries called “the reign of order.” He himself set the example of a scrupulously disciplined life. He rose at 5:00 a.m., spent the first part of the day in prayer and at mass, and then after a quick breakfast and some exercise outdoors worked at his desk from 8 till noon. He spent a short time over lunch, a little more on recreation and the recitation of the breviary before going back to his office, where he remained from 1:30 till 6:30. After dinner, which took “20 minutes at most,” he relaxed for an hour, very often with the seminary pupils; at 8 he returned to his prayers (the rosary, the visit to the Blessed Sacrament), and at 9 he went to bed. He spent a day each month and six days each year in spiritual retreat. He went to confession weekly on the same day and at the same hour; he also did the Stations of the Cross every week. On Saturdays throughout the year, at exactly 5:00 p.m., he went on foot to the church of Notre-Dame-des-Victoires to pray before the Blessed Sacrament and the statue of the Virgin Mary. Every June he left to visit some part of his diocese for two months and afterwards rested for a few days at his family’s manor-house in Sainte-Marie-de-la-Nouvelle-Beauce and for a fortnight at the seminary’s house in Petit-Cap; he then returned to his office at Quebec. The key feature of Taschereau’s administration was efficiency. With the constant growth in population went a multiplication of Catholic facilities: more than 40 new parishes and more than 30 missions were created. He himself kept control of the assets of the colonization society that furnished aid to the new settlements. In the spirit of order and discipline he regularized parochial organization in the most minute detail; he laid down the main practices in his Appendice au rituel and Discipline du diocèse de Québec. His voluminous correspondence was filled with explanations and solutions for cases that his clergy, and even his colleagues in the episcopate, submitted to him. Anyone who wrote to him, even to ask a naïve question, the next day got a clear, precise answer, often terse, sometimes with a touch of humour. 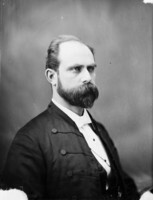 He readily received all who came to his office, never making them wait; he did, however, have difficulty striking up a conversation – after an interview, politician Hector-Louis Langevin* likened him to “the gates of a prison,” and it was well for a visitor to know when it was time to leave. 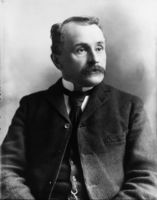 Taschereau in general worked to consolidate established organizations rather than to found new ones. In the educational field, most of his energies went into defending the Séminaire de Québec and the Université Laval, but he did not forget other institutions. In the early weeks of his episcopacy he visited the Collège de Sainte-Anne-de-la-Pocatière to restore calm and examine the extent of its financial difficulties [see François Pilote*]. On 22 April 1871 he launched a drive for a double subscription from his clergy to aid the college and personally set an extremely generous example; the collection, taken up every year, made it possible to extinguish the debt in 1878. 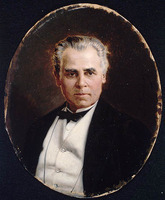 He helped found two new classical colleges, erecting the Séminaire de Chicoutimi canonically in August 1873, and detaching the Collège de Lévis from the Séminaire de Québec in 1879 [see Joseph-David Déziel*]. As for elementary education, he assisted the Christian Brothers, who were already established, by bringing into the archdiocese the Brothers of the Sacred Heart, the Clerics of St Viator, the Frères de Saint-Vincent de Paul, the Brothers of Charity, and the Marist Brothers. He encouraged teaching communities, just as he encouraged those engaged in social work. He conducted canonical visits meticulously and unhesitatingly entered into the most trivial details in his reports. In the social field Taschereau followed closely the activities of the Société de Colonisation du Diocèse de Québec, which he considered vitally important. 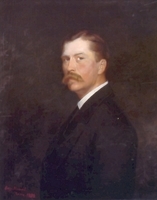 He saw the working class in much the same terms as most of his contemporaries: the causes of poverty lay primarily in the moral realm; the strike was a form of disorder to be avoided whenever possible; trade unionism, which had been introduced from the Anglo-Saxon world, was so tainted with materialism and freemasonry that he condemned the Knights of Labor in 1885 and 1886, and only reluctantly, after Cardinal James Gibbons and Rome had intervened, proceeded to lift the censures he had pronounced. But he encouraged Father François Gohiet to give lectures in Saint-Sauveur church on the problem of the working class and to publish them in pamphlet form. As for efforts to relieve poverty, he limited himself to maintaining the charitable organizations already in existence; the only new one instituted at Quebec was the Hôpital du Sacré-Cœur de Jésus, which was opened in 1873 for elderly people and invalids and was supported by an archdiocesan lottery. A devout man of prayer, Taschereau encouraged initiatives to promote piety among the laity, but without the dramatic actions of his colleague Bourget. In 1872 he launched a big campaign for subscriptions to put up a new church at Sainte-Anne-de-Beaupré; in 1885 he turned to the people of his archdiocese for the money to build its high altar. He headed the bishops who asked the pope to proclaim St Anne the patron saint of the province of Quebec, and with them he drew up a precise set of regulations for organizing pilgrimages. In 1878, facing a rapid increase in the number of visitors to Sainte-Anne-de-Beaupré, he entrusted the parish and pilgrimage to the Redemptorists [see Jean Tielen]. He gave the same constant support to devotion to the Virgin Mary, St Joseph, the Holy Family, and the Sacred Heart, among others. He is credited with having played an important role in extending the work of the Franciscan Third Order Regular in his archdiocese. But his preferred spiritual exercises appear to have been related to the real presence of Christ in the Eucharist, witness his wide promotion of the perpetual exposition of the Blessed Sacrament and the Forty Hours devotion. This style of leadership, which tempered firmness with paternalism and respect for others, was also employed by Taschereau to direct the entire episcopate of the archdiocese. Upon his appointment he replaced sporadic, inconclusive gatherings of the bishops with regular and well-prepared meetings. In 1871, for example, he summoned his colleagues together from 17 to 24 October and proved such an effective leader that the bishops insisted upon making public “the pleasure they have had in meeting with their archbishop” and expressed the wish to meet thenceforth “at least once a year.” It became customary, instead, to hold two or more gatherings annually, coinciding after 1875 most often with the biannual meetings of the Council of Public Instruction’s Catholic committee, of which all the bishops of the province were members. Although Taschereau did not hesitate to seek the assistance of various colleagues in drafting the working documents, he did not delegate the follow-up of decisions and he chaired the sessions in an authoritative manner. For a time he lost the confidence of his suffragans, who banded together against him in 1876. But with the help of Rome he regained control over the assembly of bishops, and in the 1880s his self-assurance and authoritarianism offended more than one of them. 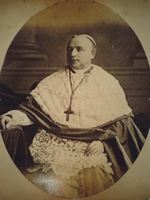 After 1886 the favourable rulings he obtained in Rome and the dignity of the cardinalate enhanced his prestige as chairman and he gradually restored unity to the assembly. 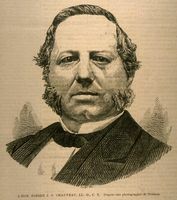 Taschereau also convoked the last three provincial councils of Quebec, held in 1873, 1878, and 1886. Like the preceding ones, they dealt mainly with the internal discipline of the church in the province and with the development of its structures. After 1886 Taschereau saw no further reason to summon these councils; the ecclesiastical provinces of Montreal and Ottawa had been detached from Quebec, and the principal problems were or could be settled by the biannual assemblies. Every three years, therefore, he obtained Rome’s permission to defer convening another council. From 1876–77 he energetically rejected proposals from the Irish Canadian churchmen for a conciliar meeting of all the Canadian bishops. In his view “the great disciplinary questions were settled” for the ecclesiastical province of Quebec, and the other provinces had only to fall in line. Furthermore, he emphasized firmly that “the French Canadian race is surrounded with enemies who differ from it in race, language, and religion,” and there could be no question of its becoming lost in a great Canadian entity, however Catholic it might be. He transmitted this conviction to his coadjutor and successor, Bishop Louis-Nazaire Bégin*, who had the first (and last) Canadian plenary council postponed until 1909. Taschereau’s leadership and authority upset too many settled ways not to stir up opposition. It had surfaced especially at the beginning of his episcopate, and, in fact, even before his consecration. 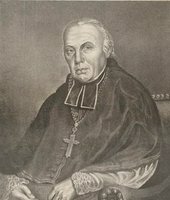 When his appointment was only a rumour a group of priests implored Bourget to advise Rome that Taschereau did not have unanimous support as the successor to Archbishop Baillargeon. The bishop of Montreal had not acted on the request. In 1873 the same group, made up essentially of curés and assistant priests from the south shore and Charlevoix, denounced both his administrative methods and his lack of orthodoxy. A more hostile letter was sent in 1876 by the curé of Saint-Romuald, Pierre-Télesphore Sax, to the prefect of Propaganda, Cardinal Alessandro Franchi. Sax unflatteringly portrayed his archbishop as a man “who has great confidence in himself, hardly ever takes the trouble to consult on any matter whatsoever,” and who, having neither chapter nor council, has surrounded himself with young, inexperienced priests and a vicar general “utterly ignorant of theology and canon law.” Not only was the administration faulty, he went on, it was inhuman: “Having been a regent and prefect of studies all his life, our archbishop has retained their severity, their absolutism, and sometimes their boorishness. 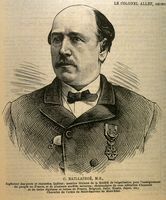 Delegations are treated by him like children, and with shocking offhandedness.” The same accusations appeared in several memoranda sent to Rome between 1876 and 1878; there were fewer thereafter and they dealt less with administration than with Taschereau’s position in the various debates that stirred the province until the mid 1880s. It was one of the paxadoxes in his life that Taschereau, whom intimates described as gentle, sensitive, and conciliatory, was for more than 15 years at the centre of a great many quarrels and controversies in which he proved pugnacious, indeed vindictive towards certain adversaries. For his part, he resigned himself to this situation with a degree of detachment. Far from looking for a fight or rushing to the attack, he counted on time to settle many problems. His whole strategy was based upon realistic analysis of human nature. “You have to take men, not as they should be, but as they are,” he used to repeat to his colleagues and his priests. But this wait-and-see policy was interpreted by many as a lack of ardour and a concession to error, or, in the language of the time, as “Catholic liberalism.” Hence he almost always had as adversaries the defenders of intransigent ultramontanism who, in addition to upholding an unadulterated Roman orthodoxy, favoured constant action to eradicate evil and assure the triumph of good; their leader was Bourget until 1876, and thereafter Bishop Louis-François Laflèche with the backing of a group of colleagues in the episcopate and clergy as well as a handful of noisy laymen. It was also immediately after the celebrations marking his consecration that Taschereau was plunged into problems of church politics. The Programme catholique, an ultramontane election manifesto drawn up and published in Trois-Rivières in April 1871 [see François-Xavier-Anselme Trudel*], was too directly contrary to his moderate convictions and his desire to distance his clergy from political disputes for him even to allow the slightest suspicion that he approved of it. On 24 April he published a terse memorandum pointing out that “this program . . . has the serious drawback of having been formulated without any participation from the episcopate”; the same day he wrote Bishop Charles La Rocque* of Saint-Hyacinthe a more caustic letter which circulated throughout the province. He was, then, taking the risk – for which he was indirectly rebuked by Rome in 1874 – of bringing the split within the episcopate into the open, since the bishops of Montreal and Trois-Rivières publicly approved of the manifesto and the bishops of Rimouski and Saint-Hyacinthe followed the archbishop. The split between die-hards and moderates would last for several decades. Unlike the ultramontanists, whom they derisively labelled the ultramontés (the ultra-agitated), Taschereau and his supporters did not see liberalism as a threat and were unwilling to apply to the Liberal party the condemnations of Catholic liberalism emanating from Rome. This moderate position made the archbishop the target of such ultramontane newspapers as Le Nouveau Monde [see Frédéric Houde*], Le Franc-Parleur, and Le Journal des Trois-Rivières, especially after he had obtained clear directives for Catholic journalists from his colleagues in the episcopal assembly and a severe reprimand for journalistic exaggerations from Rome. It also led to his being clearly designated as part of the “powerful forces of opposition” that would favour “those compromises so common among the would-be politicians of our time” by Jesuit Antoine-Nicolas Braun* in his notorious sermon during the celebration in 1872 of the 50th anniversary of Bourget’s ordination to the priesthood. When the lawsuits charging members of the clergy with undue influence in elections arose, Taschereau seemed briefly to take the hard line adopted by Bourget and Laflèche. He wrote the pastoral letter issued by the bishops of the ecclesiastical province of Quebec on 22 Sept. 1875, which was the strongest condemnation of Catholic liberalism to have been published in Canada thus far; for some months he defended it ardently. On 26 March 1877 he also approved and signed the declaration that he and the episcopate of the province issued following the judicial decisions on the elections in Bonaventure and Charlevoix, in which Bishop Jean Langevin and his brother Hector-Louis were involved. The document was a harsh statement addressed to the Canadian government on the freedom of the church and it requested changes in the election act. But, under the influence of his entourage, Taschereau had meanwhile come to realize the ambiguous nature of the September 1875 letter and the risk of its precipitating a confrontation with the Protestant majority in Canada. 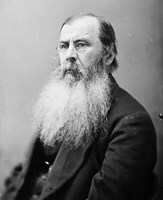 After vainly trying to get his suffragans to clarify and qualify their thinking, he unilaterally published on 25 May 1876 a pastoral letter that put the Liberal party on the same footing as the Conservatives and invited Catholics “without distinction of party” to pray for and take action to ensure honest elections. Without exception all his suffragans felt that the document was a slap in the face, because they thought it contested or in thinly veiled terms disapproved of the letter of September 1875; they no longer trusted him to defend them against the Liberals. Therefore, when Cardinal Franchi wrote to the archbishop about the charges “related to the intervention of the clergy in political elections” and asked for “precise information” and suggestions “for averting the difficulties that have arisen,” they considered Taschereau’s reaction too weak and sent their colleague Laflèche to Rome “to enlighten and inform the Holy Father about the schemings of our liberals and to point out to the Holy Father that we are doing just the opposite to what we are accused of doing.” Laflèche obtained an apostolic brief from Pius IX that praised the bishops for putting people on guard against “the clever errors of so-called Catholic liberalism” but laid heavier stress on unity and concord. Once again Taschereau distanced himself from his colleagues. He refused to bring them together to draw up a common and rhetorical text introducing the letter; instead, he published the Roman document on his own with a few polite words. For their part Laflèche, Langevin, Louis-Zéphirin Moreau*, and Édouard-Charles Fabre insisted on condemning anew the errors in liberalism. 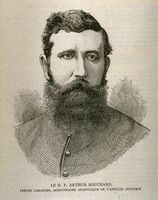 The suffragans’ revolt came to an end with the visit of the apostolic delegate Bishop George Conroy* in 1877–78. 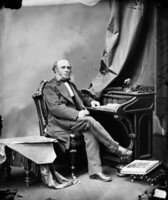 Sent to impose unity upon the bishops and silence upon the clergy in political matters, he issued a declaration publicly exonerating the Liberal party, and had a circular letter sent to the clergy ordering them to take the course of “discreet reserve” and “great prudence.” These moves signalled victory for Taschereau’s moderate line and his analysis of the situation in Canada. From then on the vast majority of the bishops and of the clergy followed the archbishop, who felt strong enough to repel the endeavours of certain die-bards. 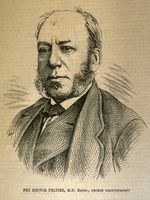 Taschereau took the opposite position to that of the ultramontanes on nearly all the political issues of the 1870s and 1880s: the new Civil Code, which he was anxious, within the constraints of prudence, to have amended and brought into line with canon law, particularly in regard to marriage and record-keeping; the New Brunswick schools question, in which neither federal intervention nor episcopal declarations met with his approval; and the disposition of Jesuit estates. Taschereau wanted to claim the properties for the Université Laval and thus to prevent the Society of Jesus from using them to further then educational endeavours, and it was with considerable resentment that he saw Honoré Mercier going over his head to deal directly with Rome [see Antoine-Nicolas Braun]. Even an essentially ecclesiastical matter such as the division of the diocese of Trois-Rivières brought him into conflict with the same ultramontane adversaries. This was not only because their leader, Laflèche, who had not stopped attacking his “liberal” positions, was the local bishop, but more particularly because, after Leo XIII issued his motu proprio in 1883 creating the diocese of Nicolet on the south shore of the St Lawrence, any derogation of Rome would bring papal authority into question. Other decisions, those concerning the Université Laval for example, might then have been threatened. These eventualities Taschereau could not accept. Hence he gave his backing and counsel to the supporters of the diocese of Nicolet, in particular to Calixte Marquis* and the priests at the seminary; when the situation became more serious, he did not hesitate to go to Rome, bring pressure to bear on Propaganda, and extract a final, favourable decision. He even used his authority as metropolitan to prevent Laflèche from making a similar trip. At the heart of all these arguments and sometimes surprising initiatives was the university question. In 1865 Taschereau had admitted in confidence to Benjamin Pâquet, “I am above all a seminarist” (an unconditional supporter of the Séminaire de Québec and the Université Laval). He remained so to the end: when after 1870 the Laval professors were widely accused of Gallicanism and liberalism and of masonic connections [see Jean-Étienne Landry*]; when the Jesuits in 1872–74 sought statutory power to grant university degrees and therefore to open a university in Montreal [see Joseph Desautels*]; when in the early 1880s the Montreal School of Medicine and Surgery fought bitterly against the Université Laval’s branch in Montreal and forced Laval to get the terms of its charter broadened [see Thomas-Edmond d’Odet d’Orsonnens]; and when the hard-won victory in Rome necessitated demanding financial support from all the dioceses in the province to develop the university at Quebec. Each time Taschereau spurred on, coordinated, and directed the defence, in Canada and in Rome. He oversaw the drafting of reports and counter-reports and regularly wrote long letters that reproduced, almost word for word, the main lines of the documents issuing from Laval, witness his Remarques sur le mémoire de l’évêque des Trois-Rivières sur les difficultés religieuses en Canada. In Rome he kept up extremely useful friendships with people who defended his interests and informed him of all his adversaries’ ploys; Pâquet and Dominique Racine*, bishops who had ready access everywhere and experience with the Roman combinazione, were sent there as his procurators. In 1872, 1884, and 1887 he himself intervened in Rome with the cardinals and staved off ominous decisions. In Canada he had all the documents from Rome favourable to him published in the newspapers. He consistently received the support of the majority of his episcopal colleagues as well as of Liberal or moderate Conservative politicians. In most cases therefore the authorities in Rome accepted the arguments advanced by Quebec and rejected the requests made by the Montrealers or their ultramontane supporters (the most striking exception being the solution to the Jesuit estates). The climax came in 1886, when Taschereau was created a cardinal. This nomination had long been desired and had been requested for at least two years by several bishops, François Langelier* (the Liberal mayor of Quebec), Joseph-Adolphe Chapleau (an avowed opponent of the ultramontanes), Prime Minister Sir John A. Macdonald (a Protestant and a freemason! ), and Governor General Lord Lansdowne [Petty-Fitzmaurice*] (who was even prepared to get Queen Victoria to intervene). The appointment of the first Canadian cardinal was finally secured through the diplomatic skills of Abbé Henri-Raymond Casgrain*, as well as of his friends Cyrille-Étienne Légaré, Charles-Octave Gagnon, and their acquaintances in Rome, and it occasioned sumptuous celebrations worthy of a prince of the church. Taschereau was “vexed” by all these honours (which he called “persecutions”). But finally, for the sake of peace and quiet, he agreed to set up a “court” for himself, asking Rome for some ecclesiastical appointments: two apostolic protonotaries, three domestic prelates, two privy chamberlains, and two commanders of the Order of St Gregory the Great. As for himself, he made no changes in his way of life. Despite the expectations of his immediate circle, Taschereau’s promotion to the cardinalate turned out to be more the crowning of his career than a spring-board for new undertakings. Already in 1887, while climbing Cap Tourmente, he felt the first signs that his strength was failing. He soon had to restrict his activities and in 1891 to ask for a coadjutor. 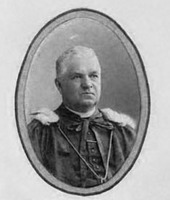 His choice fell upon Bishop Bégin of Chicoutimi, whose appointment he obtained late in 1891 after several months of pleas and hesitation on Bégin’s part. In a gesture unheard of from someone who had always sought to govern alone, holding all the reins and keeping his eye on every detail, Taschereau immediately ceded almost all his powers to his associate. He withdrew more and more into silence and prayer and from then on made only rare public appearances, for example on the 50th anniversary of his ordination to the priesthood in 1892 and on the 25th anniversary of his consecration as archbishop in 1896. In 1894 he officially handed over the administration of the archdiocese to his coadjutor. His death, long expected, came on 12 April 1898. It is these qualities that several of Elzéar-Alexandre Taschereau’s biographers evoke, in order to compare him with Joseph-Octave Plessis. But there is no need for such historical references to form a judgement of the first Canadian cardinal. His lofty intellect and his education, exceptional for the period, had brought him to the pinnacle in the worlds of religion and education; he left an enduring mark on them. His sense of realism and moderation had enabled him to defuse a number of latent conflicts between church and state, at a time when the ultramontane forces were openly throwing themselves into the political fray. According to Adolphe-Basile Routhier*, he needed “more flexibility and more amiability in his social relations” to smooth out certain difficulties and forestall some fierce debates. Having been unable to detach himself from the views of the seminary and the Université Laval, he unreservedly endorsed their most unyielding positions and, in many people’s minds, thereby helped to retard the cultural development of the Montreal region. Nevertheless, the assessment of his successor, Archbishop Bégin, can stand: there are few men “to whom the church of Quebec owes a greater debt of gratitude” – as does, indeed, all of Canadian society. 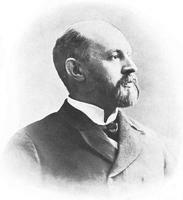 Elzéar-Alexandre Taschereau is the author of Discipline du diocèse de Québec (Québec, 1879; 2e éd., 1895); Remarques de l’archevêque de Québec sur le mémoire de 1883 concernant la division du diocèse des Trois-Rivières et réponse de l’évêque de Trois-Rivières à ces remarques ([Québec, 1884]); and “Histoire du séminaire des missions étrangères de Québec,” Le Canada français (Québec), 2e sér., 20 (1932–33): 628–34. His pastoral letters were published in Mandements, lettres pastorales et circulaires des évêques de Québec, [Henri Têtu et C.-O. Gagnon, édit.] (18v. parus, Québec, 1887– ), nouv. sér., 1–4. There are documents pertaining to Taschereau in a great many archival repositories. At Quebec the AAQ should be consulted, in particular for series 31-16 A, 210 A, 26 CP, and 33 CR, as should the ASQ, for such series as Séminaire, Univ., and mss. Most of the Catholic archdiocesan and diocesan archives across Canada, especially in Quebec, have a wealth of material relating to Taschereau. In Rome the Archivio della Propaganda Fide holds a large number of documents, notably in the Acta; Lettere a decreti della Sacra Congregazione a biglietti di Monsignore Segretario; Nuova Serie; Scritture originali riferite nelle congregazioni generali; and Scritture riferite nei Congressi, America settentrionale. No scholarly biography of the first Canadian cardinal has been written, and one must turn to dated works and to studies that are limited in scope, such as: Henri Têtu, Notices biographiques: les évêques de Québec (Québec, 1889; réimpr. 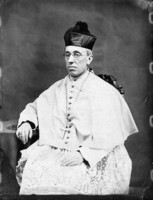 en 4v., Québec et Tours, France, 1930); David Gosselin, “Le cardinal Taschereau (1820–1898),” La Semaine religieuse de Québec (Québec), 10 (1897–98): 531–36; Michèle Dumas-Rousseau, “L’université de Montréal de 1852 à 1865: tentatives de fondation” (thèse de ma, univ. Laval, Québec, 1973); Serge Gagnon, “Le collège de Sainte-Anne au temps de l’abbé François Pilote: les conflits du personnel enseignant” (thèse de des, univ. Laval, 1968); J.-R. Gaudin, “Les rapports entre l’Église et l’État d’après le cardinal Elzéar-Alexandre Taschereau (1820–1898)” (thèse de phd, univ. Saint-Paul, Ottawa, 1972); [A.-H. Gosselin], 1842–1892, jubilé sacerdotal de S.E. le cardinal E.-A. Taschereau . . . (Québec, 1892); Jacques Grisé, Les conciles provinciaux de Québec et l’Église canadienne (1851–1886) (Montréal, 1979); [T.-E. Hamel], Le premier cardinal canadien; souvenir de 1886 (Québec, 1886); Lavallée, Québec contre Montréal; Honorius Provost, “Historique de la faculté des arts de l’université Laval, 1852–1902” (thèse de ma, univ. Laval, 1952); Sainte-Marie de la Nouvelle-Beauce; histoire civile (Québec, 1970); Sainte-Marie de la Nouvelle-Beauce; histoire religieuse (Québec, 1967); Henri Têtu, Notice biographique, S.E. le cardinal Taschereau, archevêque de Québec (Québec, 1891); Voisine, Louis-François Laflèche; D. C. Lyne, “Sir John A. Macdonald and the appointment of the first cardinal,” Journal of Canadian Studies, 2 (1967), no.4: 58–69; G.-M. Oury, “Dom Guéranger et le cardinal Taschereau; la vocation monastique du premier cardinal canadien,” Cahiers des Dix, 42 (1979): 9–24; Henri Têtu, “Les souvenirs politiques de l’honorable Chs Langelier et le premier cardinal canadien,” La Semaine religieuse de Québec, 21 (1908–9): 665–69, 681–85, 697–703. Nive Voisine, “TASCHEREAU, ELZÉAR-ALEXANDRE,” in Dictionary of Canadian Biography, vol. 12, University of Toronto/Université Laval, 2003–, accessed April 20, 2019, http://www.biographi.ca/en/bio/taschereau_elzear_alexandre_12E.html.